A toilet can be totally transformed simply by choosing the right toilet cistern lever. Also known as a toilet flush handle, a cistern lever can either be super-simple and low budget right up to an expensive, luxury design. With so many styles to choose from when shopping for a toilet cistern lever you sure to find a lever arm which complements your toilet perfectly. Whether you need a contemporary cistern lever arm or a traditional flush handle we have modern and authentic period styles here. 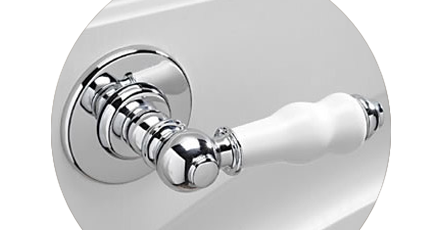 Shop branded toilet cistern levers from a huge range of quality manufacturers. We also offer cheap toilet flush handles, but if you're in need of something extra special then you'll be happy browsing our range of gold, black and chrome cistern arms from all the big brands.